Raw potato is an ancient home remedy for back pain, characterized by incapacitating pain in the lumbar region, especially in the lower part of the back. Application of raw potato in the form of a poultice has been found very effective in this condition. Lemon is another useful remedy for back pain. The juice of one lemon should be mixed with common salt and taken by the patient twice daily. It will give relief. The most important home remedy for back pain is the use of garlic. Two or three cloves should be taken every morning to get results. An oil prepared from garlic and rubbed on the back will give great relief. 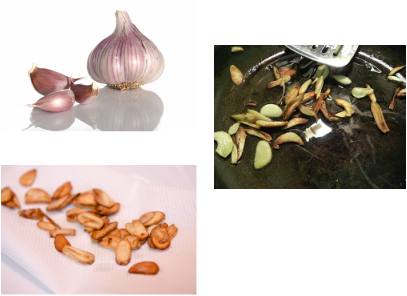 This oil is prepared by frying ten cloves of garlic in 60 ml of oil in a frying pan Any of the oils which are used as rubefacients, such as mustard oil, sesame oil, and coconut oil can be used according to one's choice. They should he fried on a slow fire till they are brown. After the oil has cooled, it should be applied vigorously on the back, and allowed to remain there for three hours. The patient may, thereafter, take a warm-water bath. This treatment should be continued for at least fifteen days.